Note the sign on the bus. Ottawa has been pushing PRESTO hard. The bus behind and wedged against the accordion style bus was at the station, parked, when the driver of the accordion bus drove up and well, misjudged the distance to the platform. 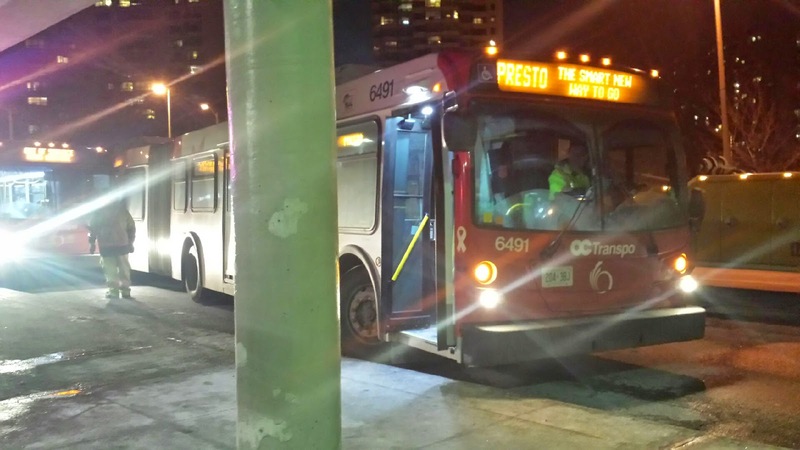 A few broken mirrors and three hours later, the buses were separated and somewhere in Ottawa, an OC Transpo driver is feeling embarrassed.